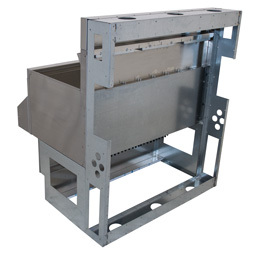 Advance Tabco Modular Die Systems are built with all stainless steel construction. 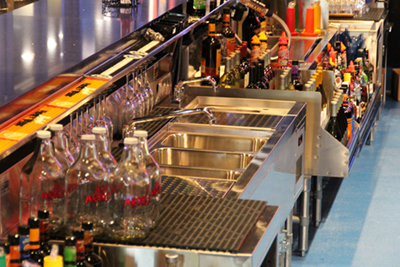 Die walls can be sealed to the floor, eliminating moisture in the bar structure. 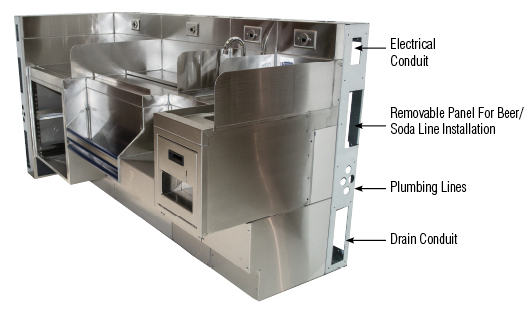 Stainless steel panels supplied where equipment by others is located. Precise engineering to ensure an exact fit. 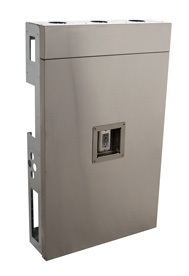 Recessed GFI outlets are set in place and allow bar equipment to be flush against the bar die wall for the tightest fit. (Wiring by local electrician to meet local codes). 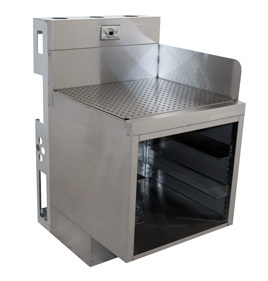 System offer enclosed casing for Beer Towers and Soda Gun outlets supplied (location must be specified). 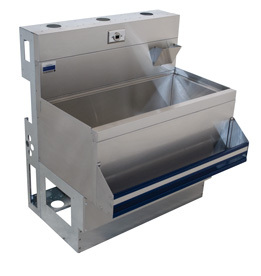 Cantilever Design made for Advance Tabco's Prestige Bar Equipment eliminates the need for legs. 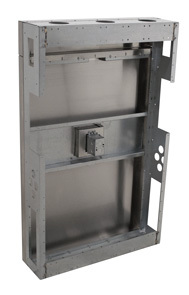 Modular system also has pre-defined space for all plumbing and drain lines. 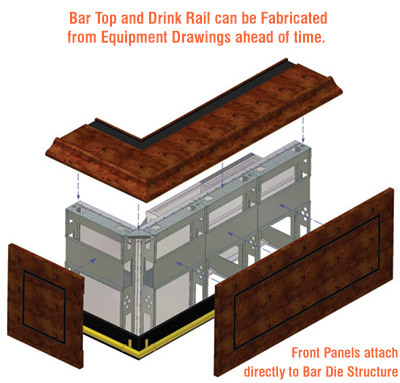 Millwork pieces can be pre-fabricated and installed after bar die installation is completed. Millwork can be applied directly to the bar structure or clips, that slide onto a horizontal anchor, can be attached to the front panel. Outside panels (located in a channel under the top of the bar) slide out. Milled panels attached at the bottom using clips on the provided vertical hat channels, leaving easy access to plumbing. Millwork to be supplied by others. 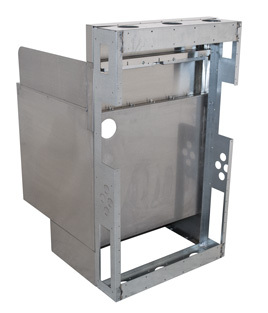 For More Information on Bar Die Systems and Pricing, Contact Us Today!